why is it that people don't die from bruises? What mechanism does the human body have to keep this from happening? This statement is primarily true only for blood clots within blood vessels, especially in the veins. When you are talking about bruising, you are talking about clots outside of the vasculature. When a blood clot occurs in an artery, it can block that artery or break off, flow downstream, and block some smaller distal vessel. These events are most severe when they affect crucial organs like the brain and heart ("stroke" or "heart attack"), though of course any organ can be damaged in this way. However, blood clots in arteries can't ever directly affect a tissue that is not distal from where the clot starts, because they can never pass through capillaries or travel backward. When a blood clot occurs in a vein and is dislodged, it can follow the increasingly larger venous system back to the heart, where it can cause a pulmonary embolism (blockage in the lungs) or, via a patent foramen ovale, travel to the left-side circulation and end up anywhere, including the coronary arteries or blood vessels of the brain. Similarly, clots that form in the venous return from the lungs to the heart or in the left side of the heart itself can travel anywhere (except the lungs) and create a blockage. For a clot outside the vasculature, for it to have an effect somewhere else systemically it must re-enter the vasculature. This is simply not possible in most situations, because the vessels involved are very small, and during bleeding the blood is flowing out of vessels: there is no pressure gradient to push the clot back into the vessels. In more severe cases of injury where major vessels are involved, clotting in those major vessels can indeed be a problem, but not for common occurrences of bruising. @Bryan Krause's answer is quite correct. I just want to clarify what a bruise is, because I think you have a misconception of what happens. A capillary is small. As an analogy, imagine someone injects a small amount of blood, say, .5cc, under your skin with a very fine needle, but leaves the needle there. The blood will spread out as much as it can over time. The blood does not need to clot; only at the level of the injured capillary does the blood need to clot. So if the fine needle represents the capillary, the .5cc of blood won't clot then go back up into the needle; it can't happen. It's stuck in the tissue (the extracellular fluid of the skin.) A tiny clot near the tip of the needle will stop more blood from pouring out. No problem. No bleeding to death. Since the blood has nowhere to go once it spreads out, the blood cells die in the tissue, and heme degradation begins. Initially the blood is reddish, then reddish blue, then dark purple, followed by purplish-brown, to brown-greenish, to yellow, to normal. A hematoma is a collection of blood that can't spread out because it is unable to penetrate the tissue very well (maybe there's a fibrous capsule in the way.) The blood will stay there and will eventually clot, but it can't get into the end of the fine needles (capillaries) or the bigger needle (arteriole). The body doesn't work that way. Hematomas are eventually broken down by the body as well, but it takes more time, and often there is a residual "scar" in the tissue where it was. That's why sometimes you feel a little bump forever afterwards where you had a really bad bruise. Bruises - really bad bruises - can cause major damage if there is insufficient or no clotting factor, but not because clots form and kill us, but because the bleeding doesn't stop and if it's bad enough, one can bleed so much into a tissue that the swelling can cut off the blood flow into the tissue (e.g. see compartment syndrome). I would like to add a point which I feel others have missed: our body already has a safety system to prevent such a thing from happening, called fibrinolysis. Obviously, this system is not solely for degrading clots that might have come into the bloodstream, but this is an important part of all of its functions. The main character here is plasmin: a serine protease (just like trypsin) whose function is to degrade blood proteins, including fibrin clots. It is synthesized by the liver and secreted into the bloodstream in an inactive form, namely plasminogen. It comes with two levels of safety systems. In the zymogen form, it is in the closed form i.e. the active site is hidden and inactive. When it encounters a blood clot, it gets a conformational change and exposes its activation site. Now, enzymes like tissue plasminogen activator (tPA), urokinase plasminogen activator (uPA), kallikrein and even factor XII convert it into its active form (by breaking a peptide bond between Arg561 and Val562). 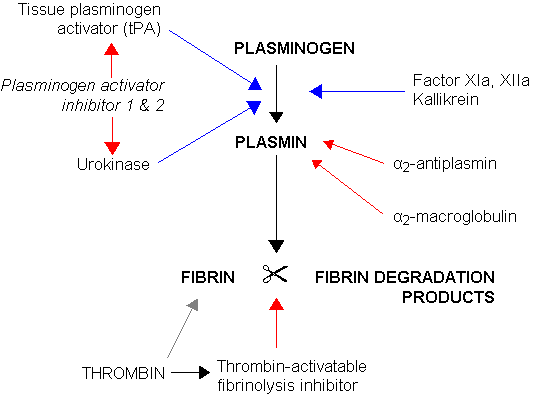 This two level safety system helps in preventing unnecessary activation of plasminogen (since both the zymogen and its activators are flowing in the bloodstream). So what prevents it from chewing off all the blood proteins? The secret: its inhibitors are also flowing with it in the bloodstream. Plasmin is inactivated by proteins like $\alpha_2$-macroglobulin and $\alpha_2$-antiplasmin. Plasmin cleaves $\alpha_2$-macroglobulin at the bait region, causing a conformational change. In the resulting $\alpha_2$-macroglobulin-plasmin complex, the active site of plasmin is hidden so that its efficiency is greatly reduced. This conformational change also allows the clearance proteins to bind this complex and let it get out of circulation. You can see the Wikipedia article to know more. Bruises usually damage capillaries (think of them as being side roads well away from the expressway and major routes). Just as closing down a few side roads in a lightly populated suburban or rural area a mile away from a major interstate is unlikely to cause a backup/traffic jam, blood clotting in capillaries at a bruise shouldn't generate dangerous blockages. Not the answer you're looking for? 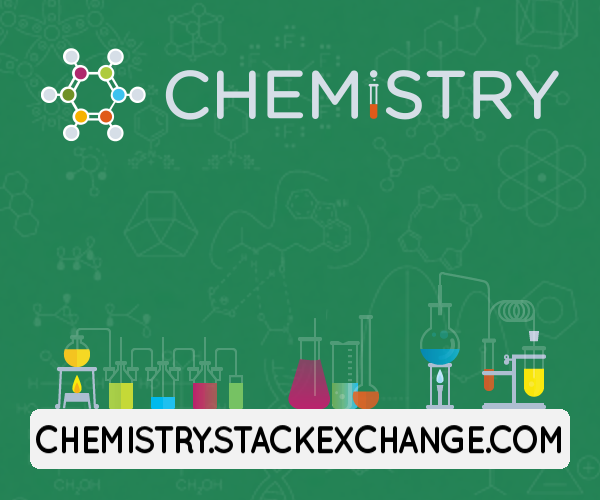 Browse other questions tagged biochemistry blood-circulation or ask your own question. Why are diabetic people often overweight? Why are higher doses of atropine required to produce central effects? Why is urea not converted to ammonia in the body?